These arrived in super shape and the shipping was so quick. I will definitely order again. Plants arrived in good shape and are growing in the garden well. Dandelion Plant – Pyrrhopappus Carolinians. Dandelion Plant is native to Eurasia and North America. The reason the Dandelion Plant has its name is from the tooth looking leaves, and it is an edible plant. The leaf material can be eaten as a salad; the yellow flowers can be dried and used as a tea, there are various uses for the plant. Dandelions are in the daisy family and grow like wildflowers. 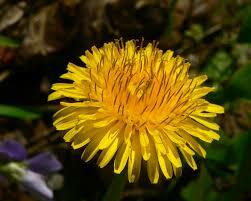 Dandelions have a yellow flower that you can see honeybee's, as well as butterflies, frequenting. The plant is adaptable to most soils but prefers moist soils and does need plenty of sunshine. The whitish to silver colored 'blowballs' as they are referred to are what one see's as the flower dies back, this is the seedlings. 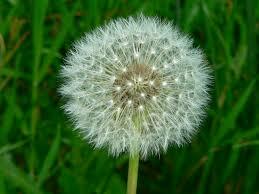 They blow off into the wind or are carried away by insects to start a new Dandelion. The Native Americans used Dandelion not only as food but as medicine for their tribe. The plant itself is small growing 2 to 15 inches tall from the base to the top of the stem where the flower is; the stems can be a grey color to a light purple color, the jagged shaped leaves are oblong. Further research has shown that Dandelions help with the ripening of fruit trees and bushes. The dandelion plant is used in several ways. It can be used to create delicious salads with the leaves and also helps with digestive and even kidney problems. The roots of this plant can also is brewed into teas that help with constipation and also helps eliminate feeling sluggish during the day. The leaves and sources on this plants also help stabilize blood sugar levels in people with diabetes. False Dandelion is very similar to the famous Dandelion plant. These plants are great to use in salads and other methods of cooking. They will have bright yellow blooms and will look great planted in natural areas. These plants do good in moist soils but can also grow in dry soil conditions. Dandelion Plants will thrive in clumps and can be seen growing in cracks that are in driveways and sidewalks.